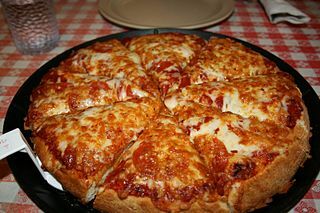 Given a circular pizza, what is the maximum number of pieces that can be made with just 4 cuts? A cut with a sharp knife is a straight line which, considered on its own, would split the pizza into two pieces. You are also not allowed to rearrange the pizza pieces between cuts. And, just a reminder that pizzas are flat! For the 3D version of this problem, look at the Cake Slicing question.